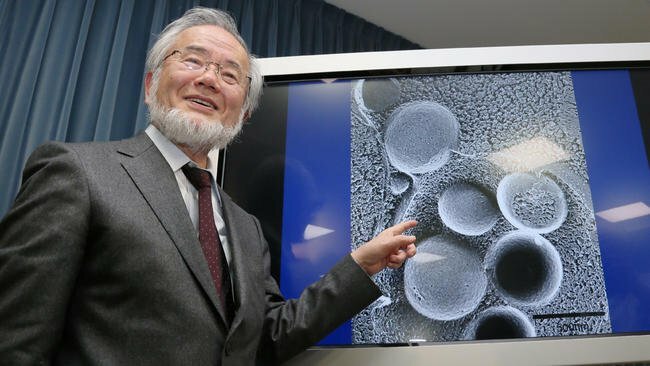 DID YOU hear that Dr. Yoshinori Ohsumi just won the Nobel Prize for his work involving “self-eating” cells? “Why would cells eat themselves?” you might inquire. “To live longer and healthier”, I might respond. The cells don’t actually eat themselves completely. What they do, if given a chance, is to break down proteins and nonessential components and reuse them for energy. Cell biologist Dr. Ohsumi won the Nobel Prize because his work on cellular autophagy provides us with greater clarity about how the body’s cells detoxify and repair themselves. This is called “cellular autophagy”, and it’s something you want your own cells to do on a regular basis. That is, if you want to increase your chances of living a long, hale life without the nuisance of lingering disease. Is thought to get disrupted in cancer, infectious diseases, immunological diseases and neurodegenerative disorders; including Parkinson’s disease, type 2 diabetes and cancer. One more thing – disruptions in autophagy are also thought to play a role in aging; conversely, improved autophagy is thought to slow down the aging process. 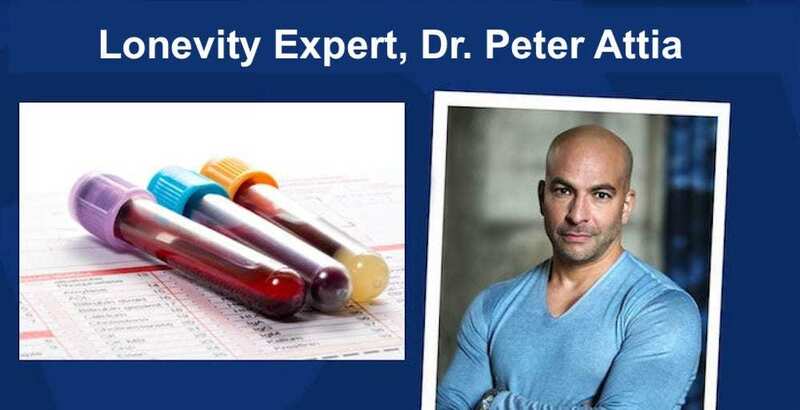 Click here for Dr. Watson’s list of health benefits derived from autophagy. Autophagy is like having a Pac-man inside each of your cells that chases down, consumes and recycles dysfunctional organelles, proteins and protein aggregates. It has three forms: (i) chaperone-mediated autophagy, (ii) microautophagy and (iii) macroautophagy, the most important. Autophagy is a stress response and behaves according to the principles of hormesis. Autophagy can retire and eat up old mitochondria that are “leaking” electrons. Autophagy solves the problem of high baseline levels of reactive oxygen and nitrogen species. Autophagy does not require proteins to be unfolded for it to work and therefore can perform housekeeping tasks undoable by the other cell-level house cleaning system, the ubiquitin-proteasome system. Autophagy gets rid of the protein aggregates that can make you lose your memory or walk slowly as you grow old – those associated with Alzheimer’s disease, Parkinson’s disease, Huntington’s disease, ALS, CTE, and other neurodegenerative conditions. Autophagy keeps adult stem cells healthy and facilitates their capability to differentiate to make normal somatic body cells. Autophagy prevents inflammation – it works hand-in-hand with apoptosis to help the body get rid of dying cells without inducing cell rupture and inflammation. Autophagy prevents cancer – it helps maintain genetic stability, prevents epigenetic gene silencing. And it helps promote oncogene-induced cellular senescence for cancer prevention. Autophagy saves the lives of cells by preventing unnecessary cellular apoptosis and cell necrosis. Autophagy is involved in Nrf2 activation and to some extent Nrf2 expression negatively regulates autophagy. Autophagy keeps your bone marrow stem cell population alive and functional. Autophagy helps with infections – it helps clear intracellular pathogens such as bacteria and viruses. Autophagy improves the innate immune response. While autophagy declines with aging, it can exercise multiple effects to slow aging down. It inhibits the major mechanisms of aging such as cellular senescence, protein aggregate build-up, stem cell loss, epigenetic gene silencing, telomere shortening, and oxidative damage to proteins, lipids, and DNA. So, this autophagy thing is getting attention (a Nobel Prize!) and is important, but little was known about how autophagy actually happens, which genes are involved, or its specific role in disease and normal development until Dr. Ohsumi began studying the autophagy process in yeast. 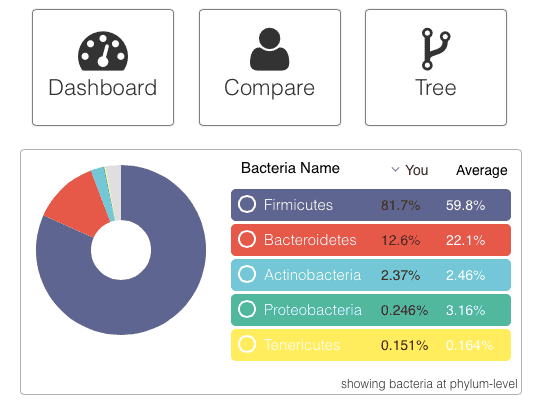 I don’t imagine you relate much to yeast, and some women (in particular) have good reasons to despise them. (Relax, ladies, the yeast studied are baker’s yeast.) The thing is, though, that Dr. Ohsumi’s groundbreaking work demonstrates that the autophagy genes and metabolic pathways in yeast are used by higher organisms, including humans. The word “autophagy” originates from two Greek words meaning “self-eating”. It refers to the process in which cellular junk is captured and sealed in sack-like membranes, called autophagosomes. The sealed contents are transported to another structure called the lysosome, once considered little more than the cellular rubbish bin. By studying the process in yeast cells, Dr. Ohsumi identified the main genes involved in autophagy and showed how the proteins they code for come together to build the autophagosome membrane. He later showed that a similar cellular recycling process occurs in human cells – and that our cells would not survive without it. Every day we need to replace about 200 to 300g of protein in our bodies… We are eating proteins every day, about 70g, but that’s not enough to take care of the requirement to make new proteins. Because of this machinery, we’re able to rely on some of our own proteins, maybe the damaged proteins or the long-lived proteins, and they are recycled with this sophisticated machinery so that we can sustain and we survive. Our bodies need more protein than we consume and autophagy recycles some of the protein already in us for our needs. I wanted to show an illustration that depicts the process. Google images present many, and from their selection I chose one that illustrates how cellular autophagy could reverse a major cause of heart attacks. That picture comes from an article about a discovery made by a research team at the University of Ottawa Heart Institute led by biochemist Yves Marcel, PhD, Director of the Heart Institute’s High-Density Lipoprotein (HDL) Biology Laboratory. Dr. Marcel and his team discovered that a new function for cellular autophagy – the mobilization and exportation of cholesterol from cells. The Heart Institute research showed that autophagy could engulf and digest cholesterol accumulated in artery walls. “This process facilitates the removal of cholesterol and may provide an entirely new target to reverse atherosclerosis, the main cause of heart attack and stroke,” said Dr. Marcel. 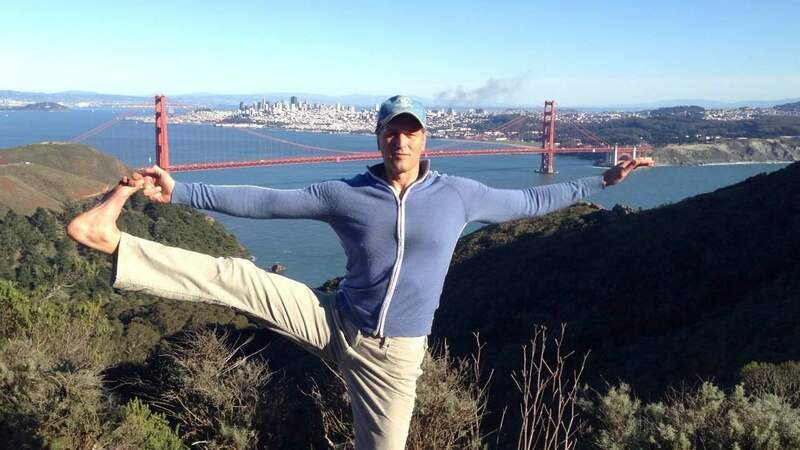 In Three Ways To Stay Young, I explored the work of Dr. Michael Rozin, the less voluble partner of Dr. Oz. Pertinent to this article is Dr. Rozin’s exhortation to periodically fast. Yes, unfortunately, you must restrict calories to induce robust cellular autophagy. The good news is that there are more ways to do this than starving yourself. The typical CR (“caloric restriction”) method used by primates, including humans, to extend lifespan and health is to reduce caloric consumption by 30% across the board, as in every day. Most of us rather chew ourselves to an early grave rather than subsist for the rest of our lives with a growling stomach. The good news is that there may be methods to get the same life extension/health benefits of CR – much of which is thought to happen via cellular autophagy – without being hungry all the time, just some of the time. Until you get used to it, that is. Eat per usual for five days a week, restrict calories (500) for one day and fast for one day. Click here to read how this worked for mice. In a 2015 study from the University of Southern California (“USC”) researchers tested a super-short periodic fast diet strategy that offers the potential benefits of both continual calorie reduction and fasting. The neat thing here is that this strategy doesn’t necessitate abandoning whatever you’re eating most of the time. In the study, mice ate low-calorie diets for five days twice a month for several months. Humans ate a low-calorie, healthy diet for just five days a month for three months. Yes, yes, yes, I know you’re not a mouse, cause none read my articles. That said, mouse models are useful because no one can jail the scientists that poke, prod and dissect these little creatures whose biological and behavior characteristics closely resemble those of humans, and many symptoms of human conditions can be replicated in them (and rats). So, how was this achieved? These improved biomarkers resulted from a “fast-mimicking diet” that combines a five-day low-calorie plan followed by regular eating. What seems to be happening is that flipping from normal eating to caloric-restricted eating causes autophagy and stem cell growth. If you’re interesting in learning more about IF, read my article, Why Intermittent Fasting Is Your Ticket To A Long and Healthy Life. Intermittent Fasting (“IF”) is your ticket to a long and healthy life because it mimics the only proven way to increase lifespan — caloric restriction. CR is very hard. IF can be easy, and the health benefits astounding. 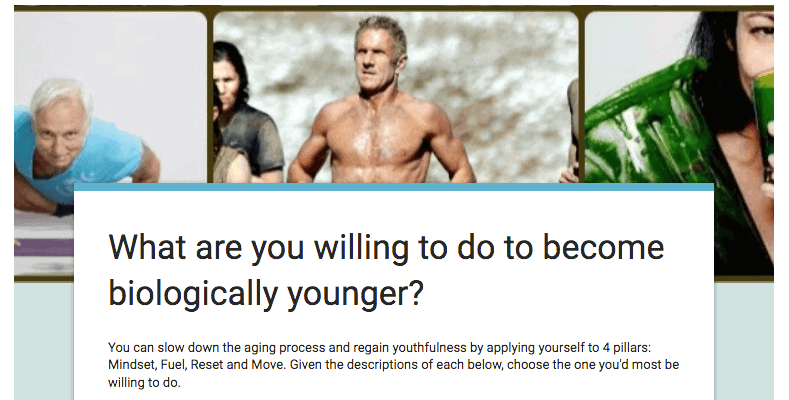 Take years off your biological age by selecting the IF program that works for you. The article also contains Dr. Michael Mosely and his Eat, Fast & Live Longer (book link) video, and after that, some more information about choosing the best IF program for you. Another article I wrote examined how cellular autophagy can reduce cellular senescence. Cellular senescence is the phenomenon by which normal cells cease to divide, thereby becoming “senescent”. Translation: Cells that have robust autophagy stay younger! Can elite athlete use IF? I train from 10 AM to 1- 2 PM…. eat 3rd/last meal at 3PM. Hey Joel, I don’t train athletes and am no longer one myself, but I doubt that anyone who has to train as hard as they do will not be able to sustain the intensity while on IF. Certainly elite athletes do not need IF to cut body fat, so the only remaining reason would be for autophagy/longer life. Of course, that’s a good enough reason to try IF, but if that’s your goal, consistent, repeated exhausting workouts aren’t the way to get there. The oxidative stress brought on by intense exercise isn’t helpful in extending healthy lifespan. My suggestion is to get on a nutrition plan necessary to fuel the unusually high stress you’re putting on your body, and then once this part of your life is behind you, play around with IF. I used to practice IF every day, and it made me unhappy (deprived-feeling). Then I decided to imitate the hunters in the jungle – sometimes there was something, and sometimes there was nothing – Since that time my mind and body are very happy! I feel a sense of empowerment, and it’s easy to implement the guidelines, combining calorie restriction almost daily and IF. I am approaching my 80th birthday. I never thought that approaching 80 could feel so good. Lia, from the research done on various IF practices it appears that as long as the body is given enough time for cellular autophagy to occur (which is at least 12 hours) on a consistent basis, then we can derive the benefits. So, narrowing your feeding window to 8 to 12 hours per day, or fasting one or two days per week will do the job. Fortunate enough to be a Muslim we are guided by our beloved and peaceful religion that to keep fast regularly for a lunar month every year and else encourage us intermittent fasting voluntary round year between early morning to sunset after having a light meal. I am amazed today knowing fact about autophagy and it’s delighted effect for maintaining physical, mental, social and spiritual health. May Allah bless all of us. I believe all major religions practice IF. Hindus, Catholics, Greek and Russian Orthodox, Muslims certainly do and Budisim I think does. I am practicing intermittent fasting since past 2 weeks, fasting window 9.30PM to 1.30PM, feeding window 1.30PM to 9.30PM, and i am feeling very good – improved energy levels, better concentration and feeling relaxed. But i have noticed a slight increase in body fat. Is there something wrong which i am doing. Actually i used to be physically active, doing weight training and jogging. I had a fall from stairs and had to undergo ACL reconstruction surgery. I am planning to start exercising next week on wards. Thanks, I’ve been hunting for information about this topic for ages and yours is the best I’ve located so far.